Door duurzaam mindfulness te beoefenen raken we losser van onze vastzittende patronen op fysiek, mentaal en emotioneel gebied. Toch blijft het vaak een uitdaging om de effecten die we op ons meditatiekussen ervaren, mee te nemen in onze relaties en communicatie. Susan Gillis Chapman biedt in haar trainingen een unieke werkwijze, waarin ze diepgaande mindfulness beoefening combineert met haar werk als psycholoog en relatietherapeut. Chapman vertaalt de mindfulness beoefening naar menselijke conversaties. Communicatie wordt zodoende zelf de beoefening van Relationele Meditatie. 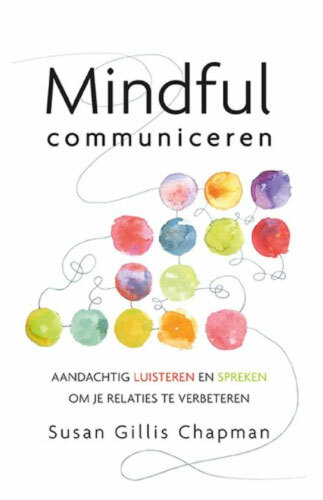 Deze basiscursus introduceert de ‘Vijf sleutels tot Mindful Communiceren’, die beschreven worden in Chapman’s boek ‘Mindful communiceren – aandachtig luisteren en spreken om je relaties te verbeteren’. Het boek lees je gedurende de training. Je maakt kennis met communicatiemodellen die aanzetten om mindful te spreken en luisteren. Naast vijf inspirerende talks van Susan, verscheidene meditaties, een live Q&A talk en een online discussieplatform leer je de theorie direct toe te passen in dialoogoefeningen met een of meer medecursisten (eventueel in het Nederlands). Verdiepende, intensieve online training voor met name mindfulness professionals en therapeuten. Deze training helpt je de ‘Vijf sleutels’ en communicatiemodellen van Susan Gillis Chapman als een ‘tweede natuur’ te belichamen. Je doet subtielere inzichten op hoe vriendschappen, relaties, families en sociale systemen baat hebben bij mindful communiceren en je verdiept je communicatievaardigheden. Na het succesvol afronden van deze Advanced training (hier is een assessment aan verbonden) behoor je tot het team van gecertificeerde zgn. ‘Greenzone Leaders’, die mindful communicatie groepen faciliteren. Gecertificeerde facilitators hebben de mogelijkheid om verder door te stromen naar de teacher training. Green Zone Institute online courses aim to create living communities, as we do in our live courses. Sustained mindfulness practice often loosens the stuck patterns in our bodies, emotions and mind. 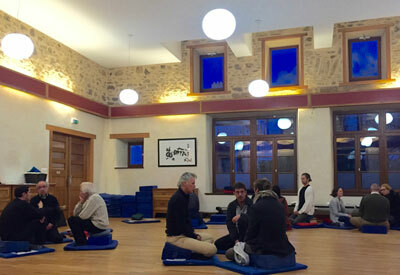 But it can feel challenging to connect practice on the meditation cushion with our relationships and communication. In this course, Susan Gillis Chapman offers a unique approach which combines her depth of practice in the Buddhist tradition—including completing and then leading a traditional “Three Year Retreat”—with her background as a psychologist, including working with sexual violence prevention/rehabilitation in both shelters and prisons. Specifically, Chapman shines a light on the mindfulness practice of human conversation, revealing how communication itself can become a living practice of Relational Meditation. Chapman and Senior Mindful Communication Teacher Greg Heffron will introduce specific practices of mindfulness along with a number of communication models to change the way we speak and listen. With a small community of students online, you’ll learn five “key” elements of mindful communication—silence, mirroring, encouragement, discernment, and responsiveness—that make it possible for us to listen more deeply to others and to develop greater clarity and confidence to respond in your own, authentic manner. becoming more truthful, compassionate, and flexible. NOTE: This course is meant to be completed over five weeks. Participants will have an eight-week window (until August 9 latest) to accommodate life disruptions. A live talk (with Questions and Answers), that will also be recorded for playback by participants. The book ‘The five keys to mindful communication’, written by Susan Gillis Chapman, is part of the course. You will be asked to read it along with the course. The book has been translated into Dutch and several other languages. The number of participants will be between 8 and 30. If you have any questions before enrolling in the program, you can contact Esther Hasselman in The Netherlands: vmbn@greenzonetalk.com or call 06 – 1445 9373. 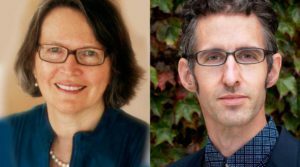 This online intensive will go much further into the material than is possible in the basic courses — and in a manner which could especially benefit mindfulness professionals. The goals are to facilitate Chapman’s Mindful Communication models to become ‘second nature,’ and to highlight the subtler truths of how mindful/mindless communication plays itself out in friendships, relationships, families and social systems. 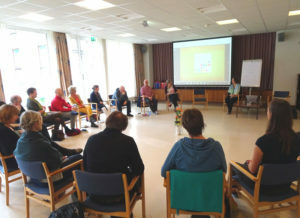 The aim is to certify a team of trained facilitators (“Green Zone Leaders”) who would guide small group Green Zones around the world, to provide a container where people in crisis who might otherwise be socially isolated reconnect with their own bodies, hearts and minds. Who should attend / For whom? For those that have done two or more (live or online) courses in Mindful Communication with Green Zone Institute certified teachers (Susan Gillis Chapman, Greg Heffron, Sabine Rolf and Elesa Commerse). Note: Registration requires an application process. If you have different, but relevant experience or skills in addition to one previous course as mentioned above, you may also be accepted in the advanced course. A (personal) application procedure will be applicable, at a cost of US$50. The number of participants will be between 8 and 24. Full Price in 2019 will be US$1995, reduced 50% for this special pilot program to US$995. Full Amount — paying 100% allows a 25% discount (US$746.25). Note: Registration requires an application process. Registration opens June 2018. Our popular retreat — for the fourth time since 2014. Come learn how MindfulCommunication can enhance your ability to interact with your world with effectiveness, kindness, and truth. Based on The Five Keys to MindfulCommunication, this popular five-day retreat aims to unlock stuck patterns of interaction, allowing us to rediscover our natural human ability to connect with ourselves and others. By stepping carefully through “The Five Keys,” this retreat will focus on our innate capacity to understand and relate with others, even in chaotic situations. This leads us to be more flexible in our relationships, more honest and more compassionate. The format includes talks, guided meditations, small group exercises, storytelling, mind-body practices and more.